What Room Temperature is Too Cold for a Baby? Parents work hard to provide the most comfortable environment for their infant right from the beginning. From bundling their baby up in an infant winter suit when it’s cold to swaddling them when they need nurturing, each family wants what is best for their child. However, infants are more susceptible to temperatures than adults and their older siblings. Wondering what is the right temperate for a baby? Read our tips to keep your little one safe and warm. 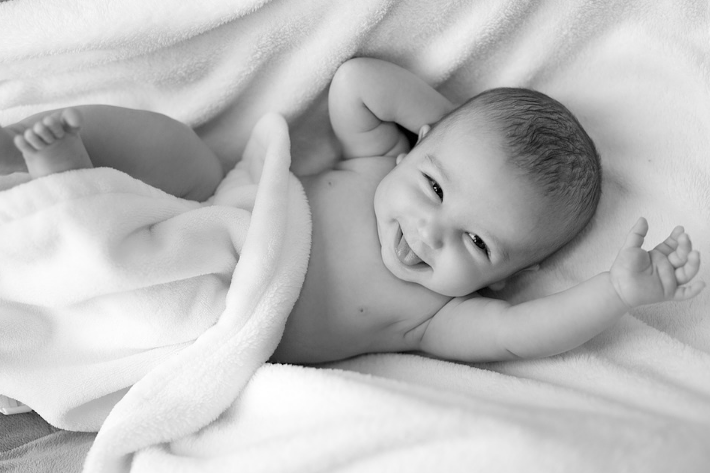 During the day in temperate climates, it is easy to maintain a normal baby body temperature during the day. During the cold weather, bundling a baby in an infant winter suit is common. But you don’t want the baby to overheat. This can happen if the baby is left in very warm clothing although the environment has changed. For example, bundling a baby in a snug winter outfit even though you might be driving for hours in your car that is well-heated or going to a grandparent’s heated home. A good rule of thumb is to layer your baby in one more layer than you are wearing both in warm and cold weather when going outside. Inside, be sure that the room temperature is not too cold or too hot. If the child is waking up sweating or her toes and hands seem discolored from the cold, you need to adjust the temperature. Don’t add blankets and stuffed animals to a crib. These can increase the risk of SIDS. Instead, change your thermostat or bundle baby in a one-piece outfit like a onesie. An infant’s extremities are vulnerable to the cold. So keeping toes and fingers warm is important. If you are moving the baby from a cold to warm environment, don’t forget to peel off extra layers. Many parents buy covers for an infant car seat when moving the baby from the house to the car or walking outside with the baby. These covers will protect the baby from chilling winds and the cold temperature and are easily removed with a zipper or Velcro. Wondering what a baby’s normal temperature is? Maintaining around 37 degrees Celsius is ideal. Anything over 38 degrees Celsius can be considered a fever and cause for concern. Even if you feel that your child has a lower fever, if you have doubts, call your medical professional for advice about making your baby more comfortable.